Today, the number of apps available on iOS and Android devices helps us save a lot of time, money, and effort doing things we normally couldn’t do. From easy cooking tutorials to doing your own bridal makeup – the world of apps has made lives a lot easy. The good news is that with the help of the many interior design apps, we can now take on the role of an interior decorator and design our home the way we want. 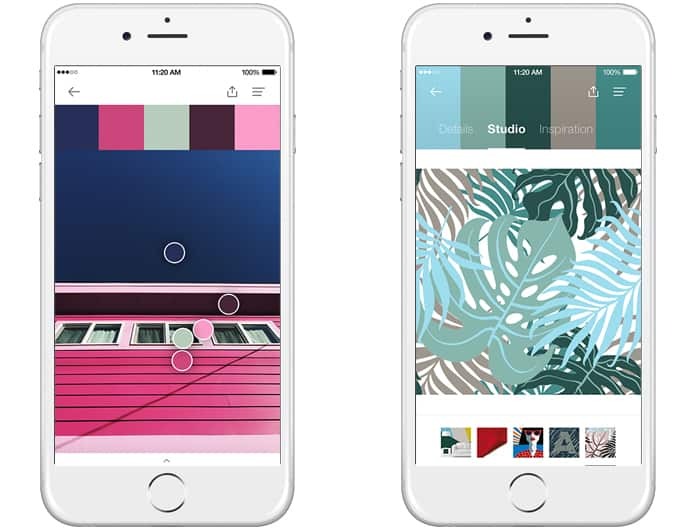 There are many design apps available on your smartphone. 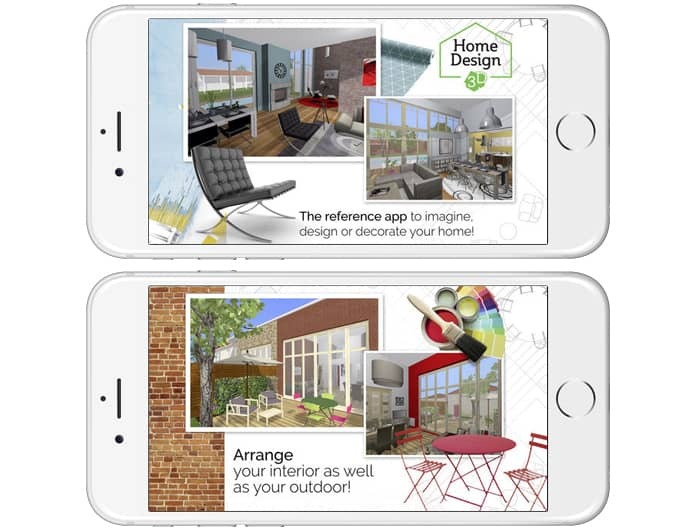 From digital mood boards to virtual consultants, the home designing apps take care of all the tasks on our behalf. They even measure the height of the ceiling for you. 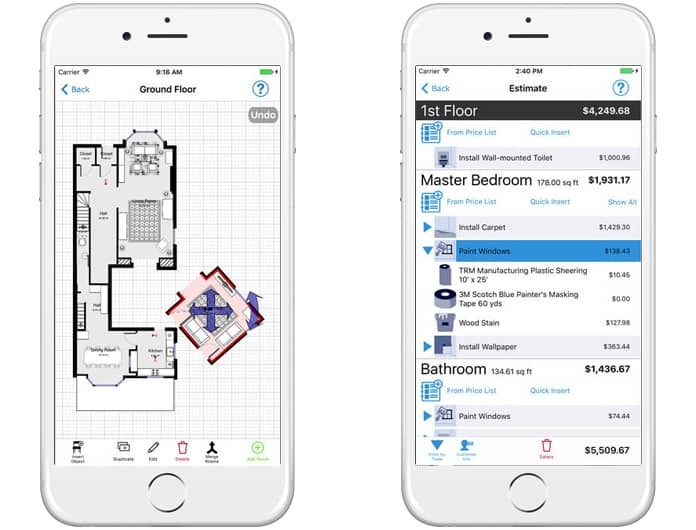 Without further ado, here are the top 10 home design apps for iPhone and Android devices. Color Snap by none other than Sherman-Williams allows users to find the perfect color from any image of your choice. 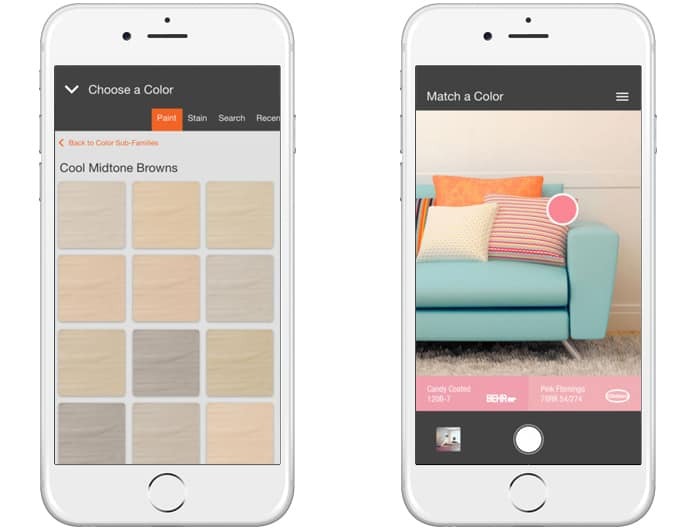 The app can analyze the color of any photo on your phone and lets you know which paint from the 1,500 Sherman-Williams matches with your choice. They are offering an iOS and Android App. The architectural app allows users to import floor plans and alter the space along with adding furniture of your choice. You can work in both – the 2D and the 3D mode to create a home of your dreams while sharing it later with collaborators for any needed modifications. Touted as the “Wikipedia of interior and exterior design”, Houzz contains a database of more than 5 million high-resolution home images filtered according to style, room, and location. The “Idea book” within the app allows you to browse, search, and save your favorite ideas which can later be assessed by the professional consultants of Houzz. You can download the best interior design app for iOS and Android devices. This app is definitely for the art-lovers out there. Now you don’t have to be confused about how a certain art piece will look in your home. Just download Curate and virtually display the desired piece on a blank wall (simply upload the photo of the wall). 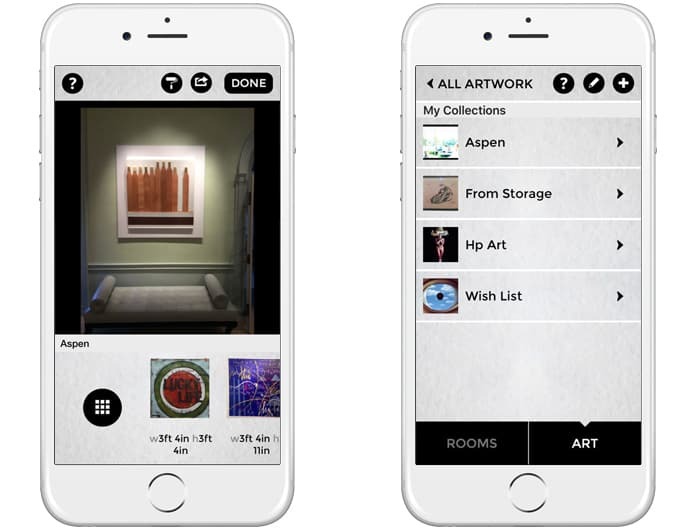 The app can also be used to browse pieces from famous artists and galleries. The digital inventory of Home Depot holds more than 25 million products. 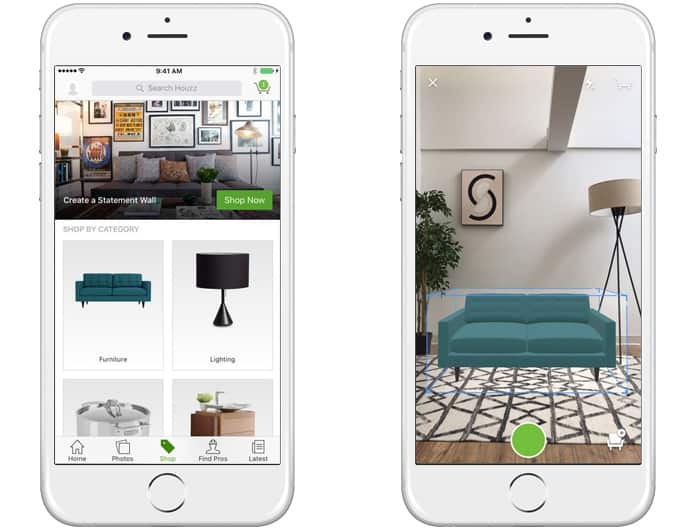 Simply upload the image of the furniture or any other home decor item you are looking for – and the app will cross-check and find you the model you are looking for along with similar products. Available for Android and iOS devices. Known as the “virtual fitting room”, the HomeStyler app allows users to try different looks on the snapshots of their room. 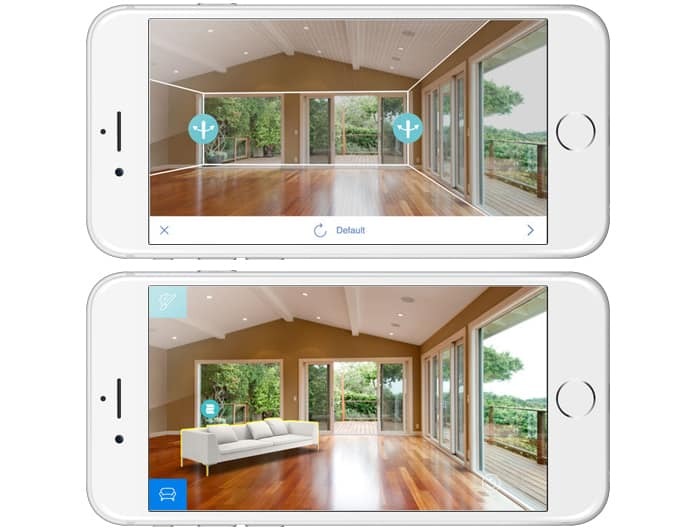 The furniture, fixtures, and other decorative items are available in 3-D formats so you have a better understanding how everything will look before you start renovating. A “Design Gallery” is also available where you can see how others are redecorating as well as share your ideas. This is one of the best interior design apps and you can install it on your Android and iOS devices. We are all familiar with Zillow, the searchable database which includes the address of almost every realtor in America. 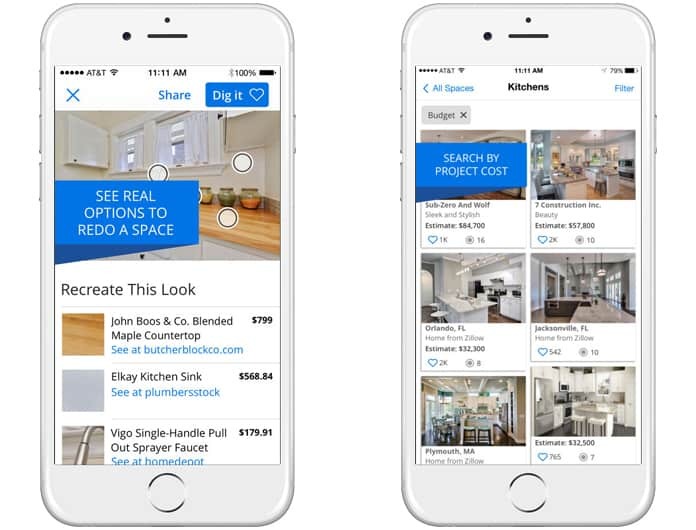 Well, the Zillow Digs app is similar and allows interested users to obtain an estimate of different interior projects in their database. You can also choose a project according to your budget. The app even offers advice from authentic designers along with a social media forum where you can share, like, and follow other users with similar interests. Confused whether the specific color comes is maroon or red. Or maybe there is a dispute between you and your partner about whether the shade is turquoise or teal. Well, the Pantone has the final say during any color dispute. 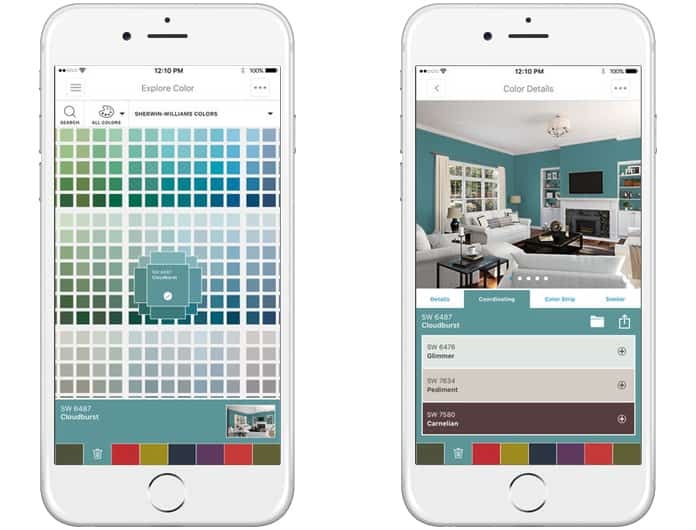 The app accurately communicates your choice of color to the decorating experts and even helps you identify the colors in photographs for replication. The digital personal assistant at BrightNest is great for two things – one is to help you stay organized during the whole renovating process and the second is to advise you on the decisions you make regarding the house decor project. 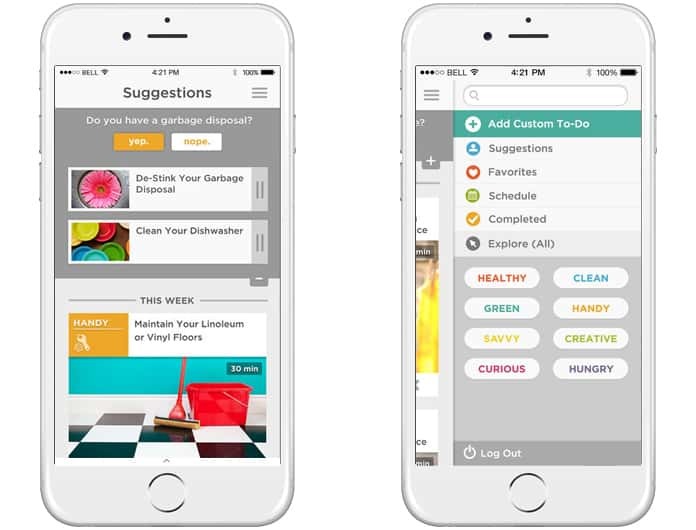 In short, the BrightNest app is a life-saver through the hectic ordeal you are facing. You can download it on your iOS and Android device. Are your measurements always inaccurate? Do you fear getting stuck outside with furniture that won’t fit through the front door? Worry not! The MagicPlan takes the stress away from you and computes distances within a space simply by analyzing the snapshot. Just upload photos of the room in different angles and the app will do all the dirty work for you including taking the height of the ceiling or the width of the hallway. These were just some of the interior design apps that can be used for a better understanding of the interior decorating task. 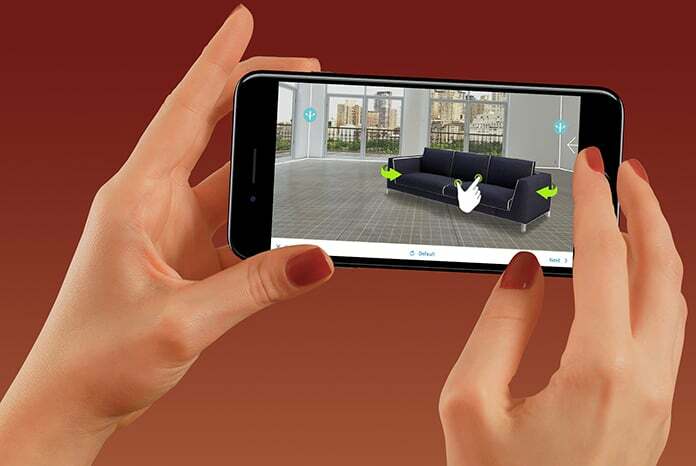 With these apps in your palm, we are sure you won’t have any trouble beautifying your home. Good luck and do share your home images with us!